Photographer Gabe Farnsworth accidentally bumped into the tree this owl was nesting in. 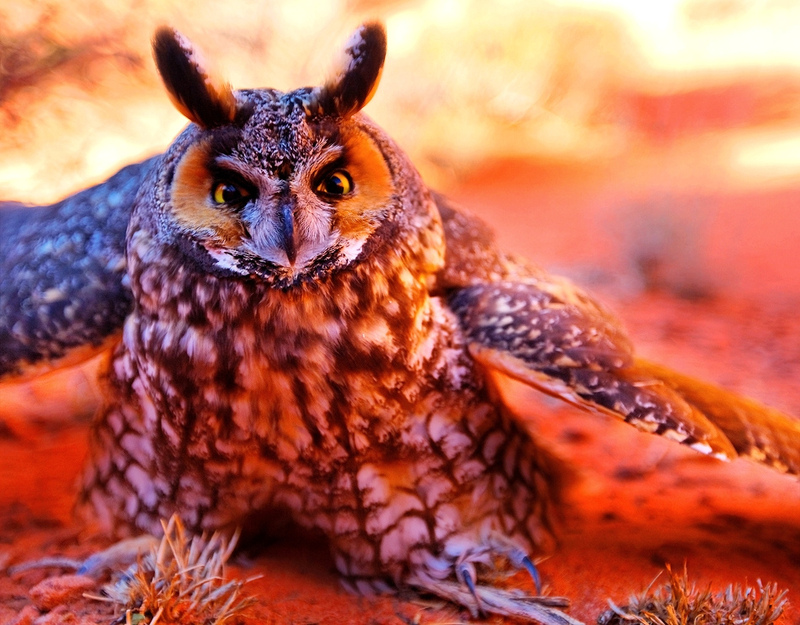 The owl woke up, tumbled out of the tree and assumed this irate posture. This entry was posted in pics and tagged Gabe Farnsworth. Bookmark the permalink.